This info brief is in Burmese. 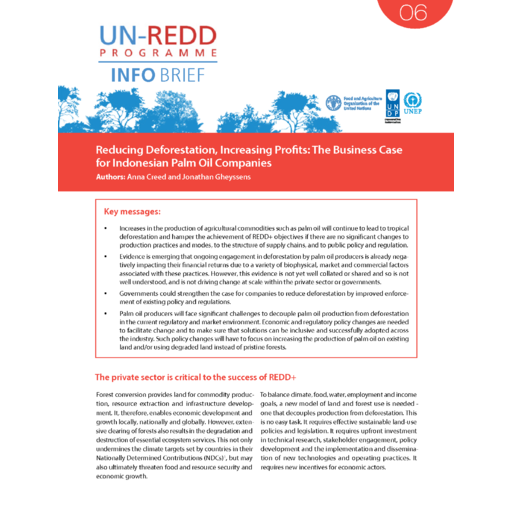 This info brief is supported by the UN-REDD Programme and published by the United Nations Regional Office for Asia and the Pacific. 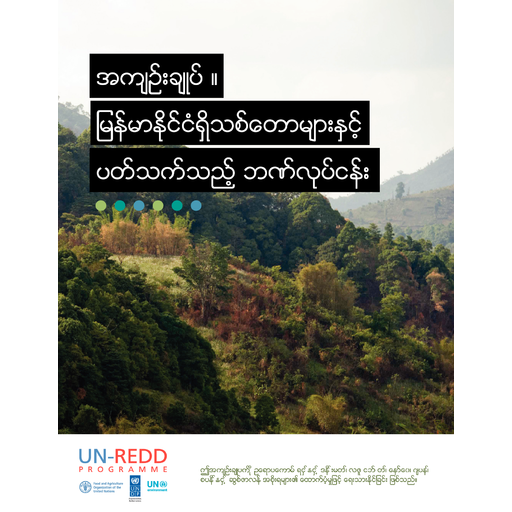 It is the first in a two-part series that is intended to demonstrate the economic and financial benefits of a deforestation-free approach to lending and investment in Myanmar and to provide recommendations for financial institutions on how to reduce their exposure to the forest-related risks arising from their clients/ investees’ activities. Agroforestry can play a key role in addressing the critical situation of Ivorian forests. It would also ensure the future of cocoa farming, a key sector of the country’s economy. To that end, a national agroforestry definition including quantitative elements is needed to guide investments consistently with national policy objectives. It would also harmonise socioeconomic and environmental objectives. This study highlights several elements that can guide the development of this definition. The latter should consider the factors that influence cocoa yields in the arbitration between environmental and economic costs and benefits for the different actors in the cocoa value chain. The transition towards agroforestry can lead to a shortfall of several years. Given the plantation owners’ lack of savings, compensation mechanisms for this shortfall in the first years of transition must be formulated. The diversification of smallholder income in the medium term through the introduction of agroforestry systems represents an opportunity to improve his/her standard of living and protect against the fluctuation of cocoa prices in monoculture. Côte d’Ivoire has one of the fastest rates of deforestation in the world and the fastest in Africa. The most promising solutions to decouple agriculture from deforestation would be to increase agricultural productivity with improved plant material while making use of good practices (intensification) and to plant associated trees in cocoa plantations (agroforestry). 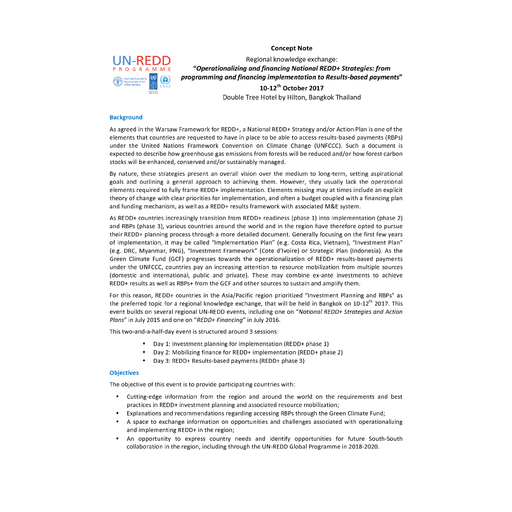 In 2016, the Permanent REDD+ Executive Secretariat at the Ministry of Environment mandated a framing study on the private investment opportunities in Côte d’Ivoire. 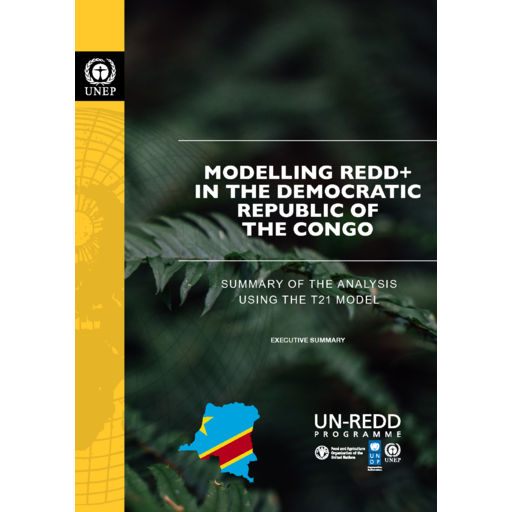 The main goal of this study on economic and financing models is to provide the government with useful information to assist ongoing private sector commitments, and to bring strategic data to other related initiatives (including the Cocoa and Forests initiative, the working group Environment and Climate Change from the cocoa sector Private-Public Partnership Platform or the Green Climate Fund). 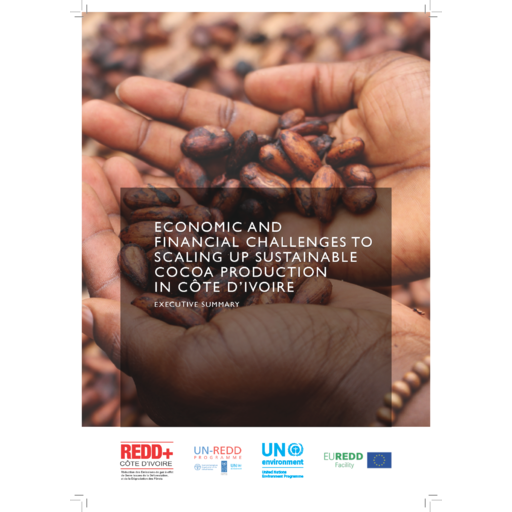 UN Environment is partnering with the European Forest Institute to design tangible financing models for deforestation-free cocoa agriculture by the private sector, in cooperation with the Ivorian state and its partners. 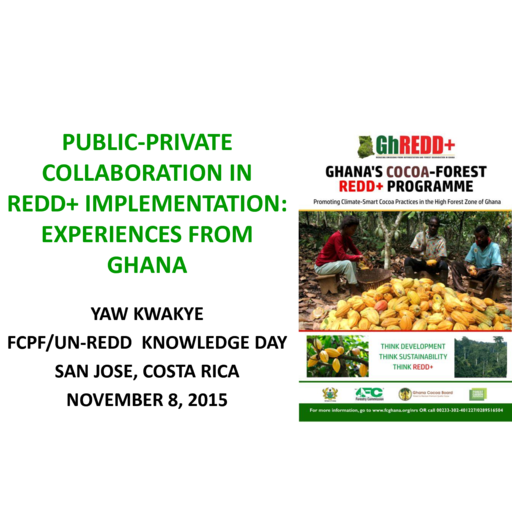 The successful uptake of agroforestry in the cocoa production chain is a major component of the analysis. alleviate pressure on these natural forest systems. 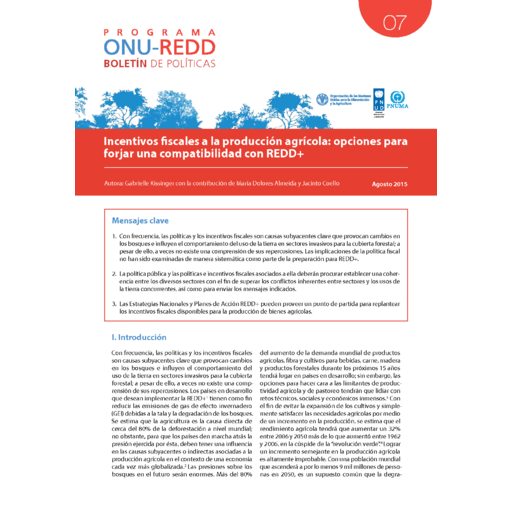 Determine por qué los enfoques o mecanismos para la asignación de incentivos son una herramienta clave que influye en el comportamiento de los actores involucrados con el fin de alinear acciones hacia objetivos de REDD+. Este módulo muestra algunas de las características principales y consideraciones para el diseño de un enfoque de asignación de incentivos. Ahonde sobre por qué la mobilización de recursos financieros para REDD+ requiere de un enfoque multi-dimensional que incluye cumplir con los criterios para acceso a pagos basados en resultados de la CMNUCC y transversalizar REDD+ con los esfuerzos nacionales hacia economías bajas en carbono. 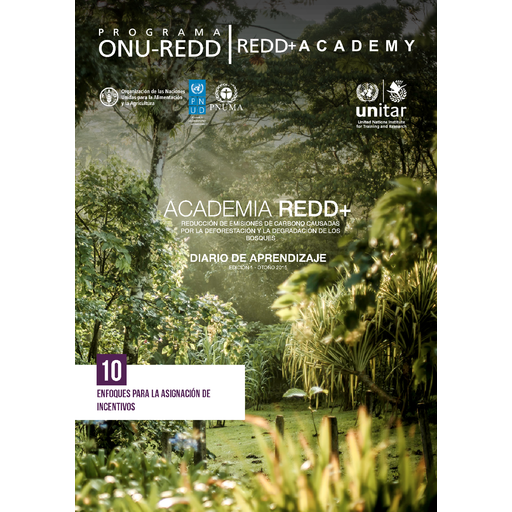 Este módulo presenta la escala y alcance de los retos globales de financiación de REDD+ y las posibles alternativas para un cambio de paradigma hacia una nueva economía. Déterminez pourquoi les systèmes d’allocation des incitations (SAI), ou mécanismes de partage des bénéfices, constituent un instrument important pour influer sur le comportement des parties prenantes et aligner leurs actions avec les objectifs de REDD+. Ce module présente certaines des caractéristiques clés des SAI et les éléments à considérer pour les construire. 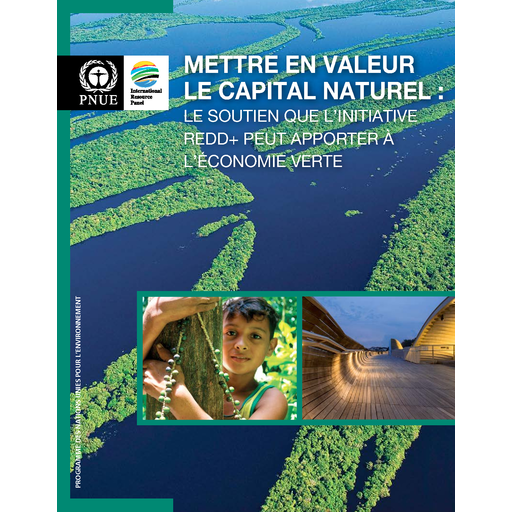 Apprenez pourquoi la mobilisation de ressources financières pour REDD+ comporte plusieurs volets comme la conformité avec les critères de la CCNUCC pour l’accès aux paiements basés sur les résultats, et l’alignement de REDD+ avec la planification vers une économie verte. 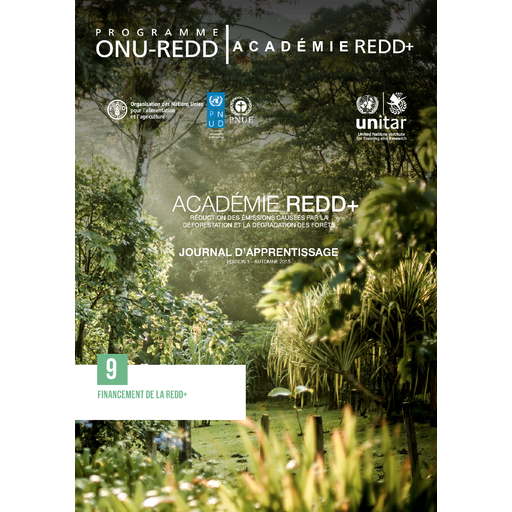 Ce module introduit l’ampleur et la portée des défis associés à la finance mondiale pour REDD+, et présente les voies possibles pour changer de paradigme vers une nouvelle économie. 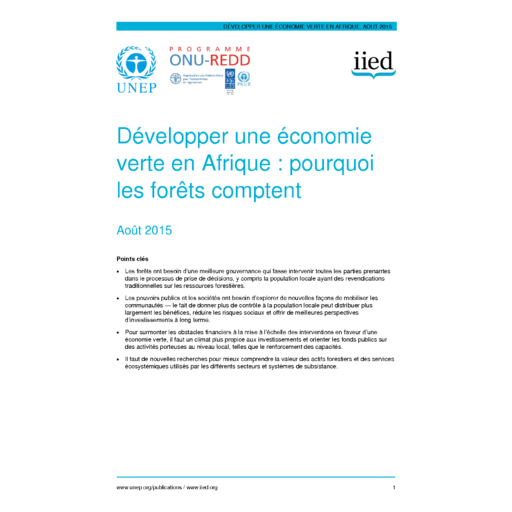 Ce rapport présente une analyse du rôle des forêts d'Afrique dans l'avenir des économies vertes du continent. Il dénonce des réalités sombres et problématiques pour les populations, les marchés et les écosystèmes d'Afrique du fait de la déforestation et de la dégradation constantes des forêts. Toutefois, il offre aussi un aperçu du potentiel positif des forêts alors que les pays s'orientent vers des économies vertes durables et efficaces dans l'utilisation qu'elles font des ressources. S'appuyant sur des études de cas issues de l'Afrique du Sud, du Cameroun, de l'Éthiopie, du Ghana, du Kenya et du Mozambique, ce rapport se penche sur les succès et les échecs, les obstacles et les opportunités pour les forêts d'Afrique. Il en ressort clairement que la prise de décisions démocratique et le leadership local sont cruciaux pour tirer des avantages durables de ce capital naturel. L'accès au financement et à des investissements verts sera aussi impératif. investissements durables. 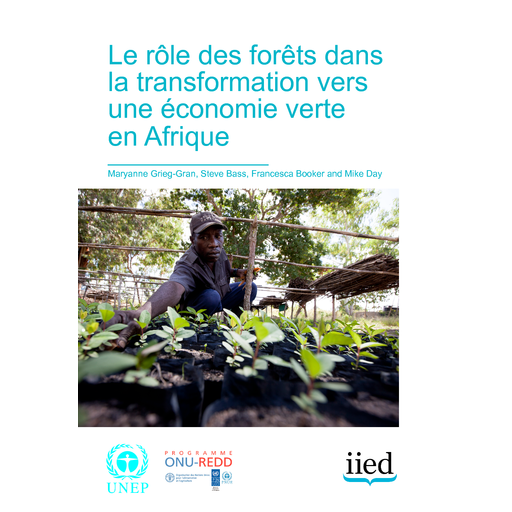 Dans bien des pays, la transformation vers une économie verte durable sera tributaire d'un développement des forêts résolument tourné vers l'avenir – ces forêts qui sont l'un des écosystèmes les plus importants et les plus riches d'Afrique. 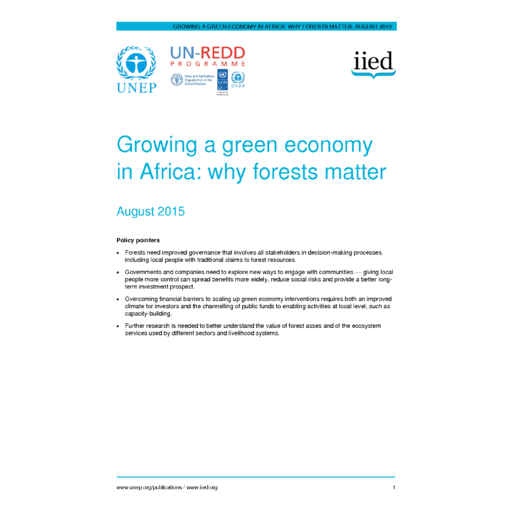 This report provides an analysis of the role of Africa’s forests in the continent’s future green economies. The report points to stark, problematic realities for people of Africa, markets and ecosystems from continuing deforestation and forest degradation. It also offers a glimpse of the positive potential of forests as countries shift toward resource-efficient and sustainable green economies. Drawing on cases studies from Cameroon, Ethiopia, Ghana, Kenya, Mozambique and South Africa, this report looks at successes and failures, obstacles and opportunities for forests in Africa. What is clear is that democratic decision-making and local leadership are crucial to enjoy sustainable benefits of this natural capital. Access to financing and green investment will also be imperative. 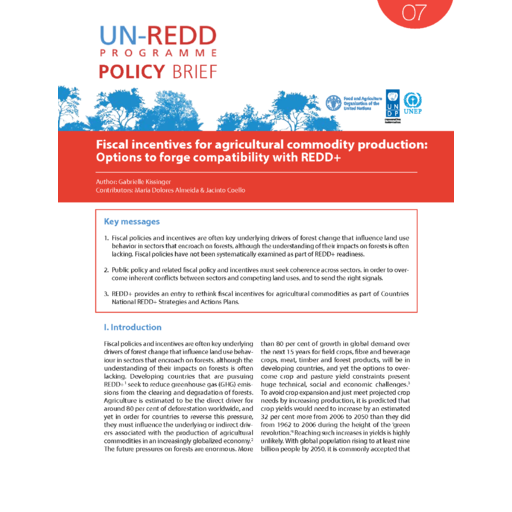 Policymakers would do well to draw on this report’s recommendations for linking REDD+ planning with a green economy and sustainable investments. The transformation to a sustainable green economy in many countries will depend on the forward-looking sustainable management of forests - one of Africa’s most bountiful and important ecosystems. Briefing: "Développer une économie verte en Afrique : pourquoi les forêts comptent"
Briefing: "Growing a green economy in Africa: why forests matter"
There is economic potential in African forests but it is threatened by an increasing demand for forest products, and by encroachment from other sectors. 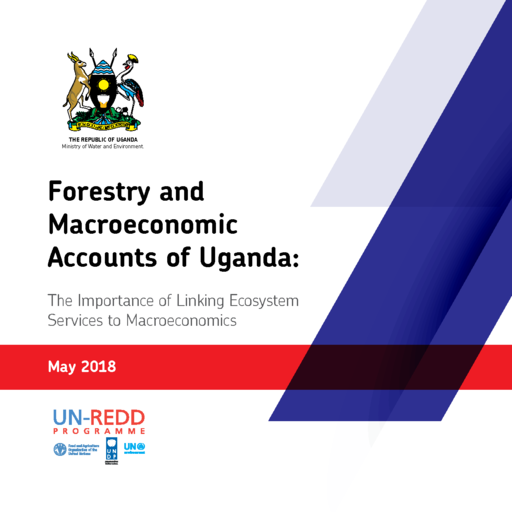 The Briefing explores the potential of a ‘green economy’ approach to the forest sector, which seeks to improve human wellbeing and social equity while reducing environmental risks and ecological scarcities. Interventions across Africa that aim to conserve, enhance and restore natural capital; increase resource efficiency; or promote sustainable consumption, show how forests could help drive a green economy transformation. Our scenario analysis indicates that a selection of such interventions, when scaled up, could help to meet increased demand for timber while enabling sustainable forest management. But scaling up of promising interventions will require action to create an enabling environment.